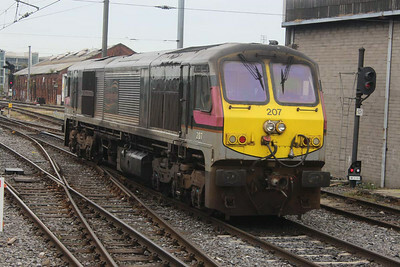 201 on 15.06.05 at Sallins on 18.03 Carlow - Dublin service. 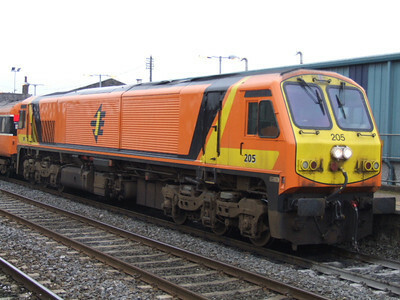 201 - at Kildare on 09.09.06 on 11.20 Dublin - Galway service. 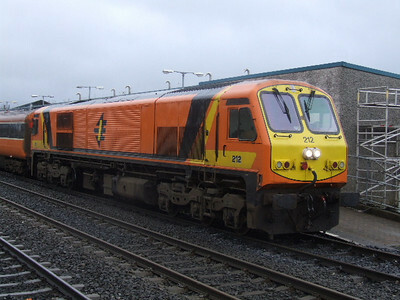 202 - Entering Kildare on 06.09.08 on 09.15 Dublin - Waterford service.- with 2 Resteraunt Cars. 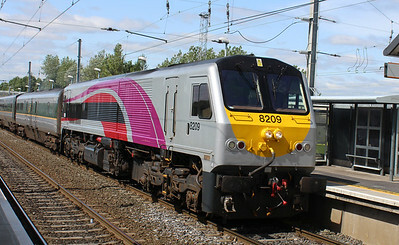 203 at Kildare on 26.04.08 on 07.35 Waterford - Dublin service. 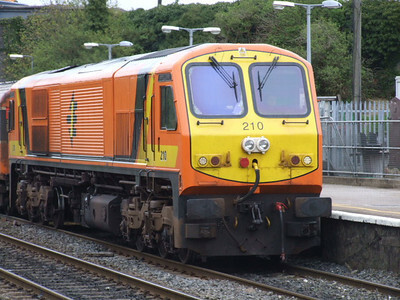 204 - at Carlow on 29.06.05 on 18.06 Carlow - Dublin service. 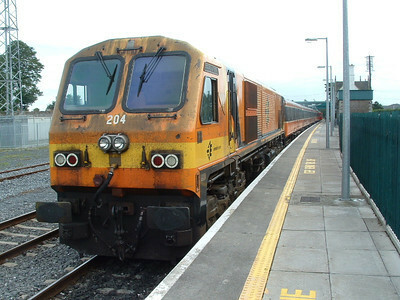 205 at Kildare on 31.03.07 on 09.10 Dublin - Galway service. 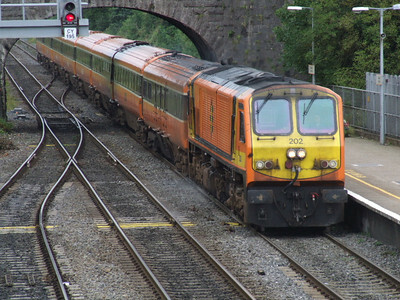 206 at Bagnalstown on 28.10.06 on 07.30 Dublin - Waterford service. 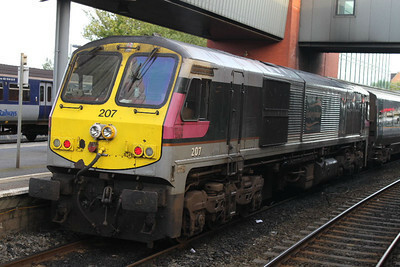 206 at Connolly on 18.08.12 on 07.35 Dublin - Belfast service. 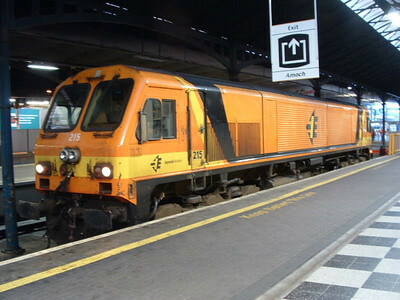 207 at Belfast Central on 03.09.05 awaiting 14.10 Belfast Dublin service. 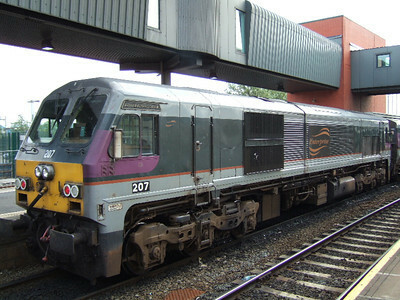 207 at Belfast on 18.08.12. on 20.10 Belfast - Dublin Service. 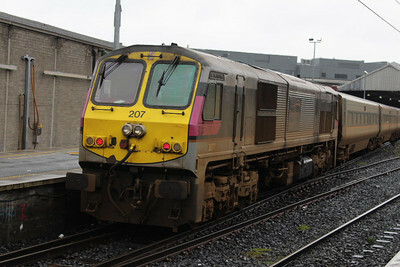 207 arriving at Connoplly on 23.03.13 on Belfast - Connolly service. 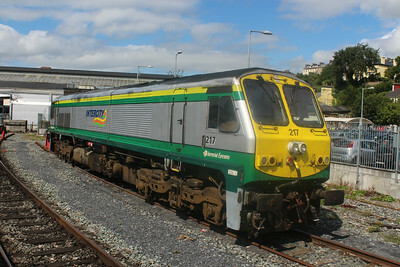 207 replacing 227 on 11.00 Dublin Belfast service at Connolly on 02.08.14. 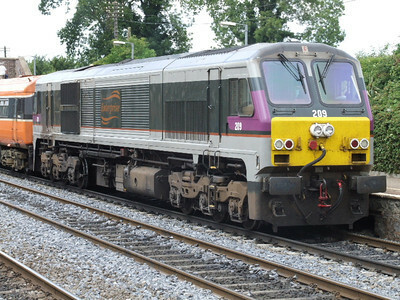 209 at Kildare on 22.07.06 on 10.48 Waterford - Dublin service. 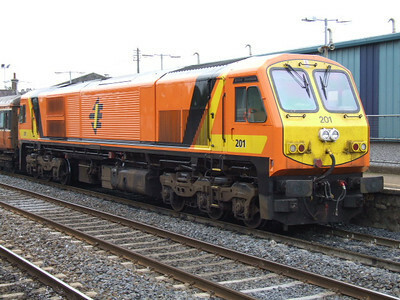 8209 on 11.00 Dublin - Befast service on 09.07.15 at Clontarf Road. 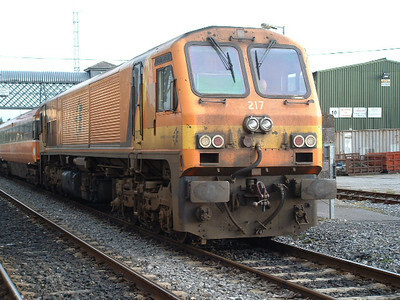 212 at Kildare on 27.12.08. 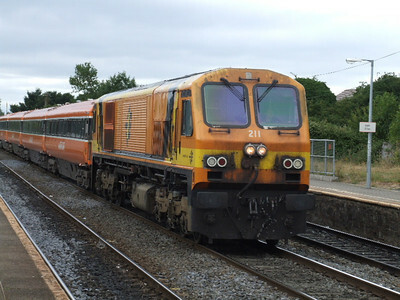 213 at Carlow on 13.08.05 on 16.25 Dublin - Waterford service. 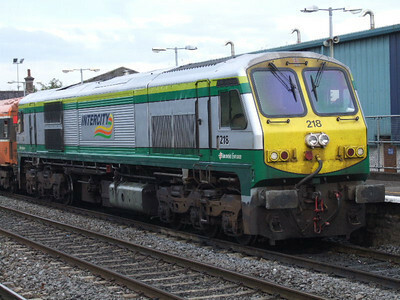 214 at Kilkenny on 06.09.06 running around the 14.50 Waterford - Dublin service. 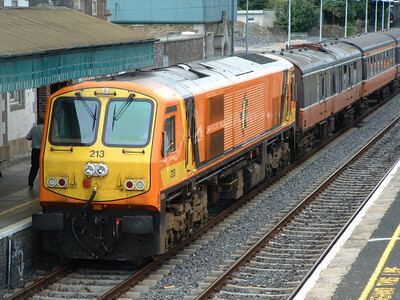 215 at Heuston on 04.10.03. 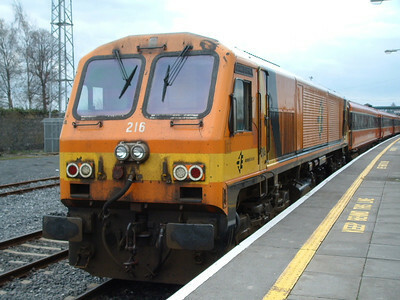 216 at Carlow on 23.03.05 on Waterford - Dublin service. 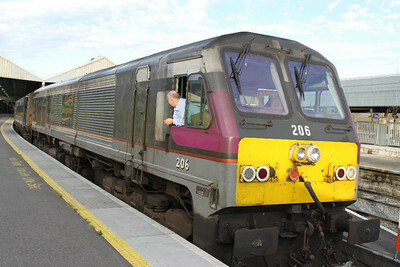 217 - at Carlow on 26.02.06 on 07.30 Dublin - Waterford service. 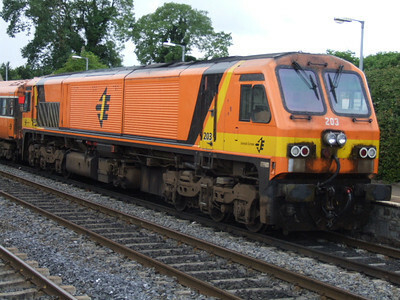 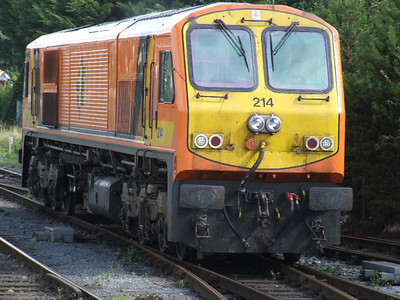 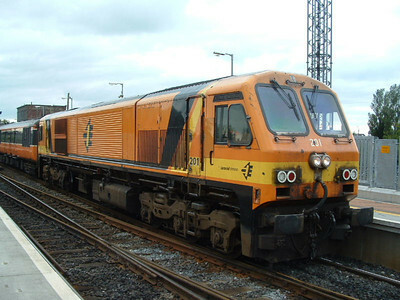 217 at Cork on 06.08.14. 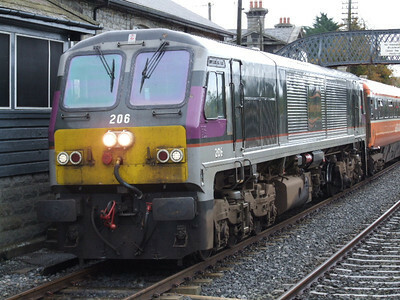 218 at Kildare on 29.09.07 on 17.25 Dublin - Limerick service.